You’ve downloaded the install-program called LuciStudio.exe, just double-click on the file and it will install. 2 Programs are installed, “LUCI Studio”, the main program, and “LUCI Studio Set Up”, which is the program that you use to configure the main program. 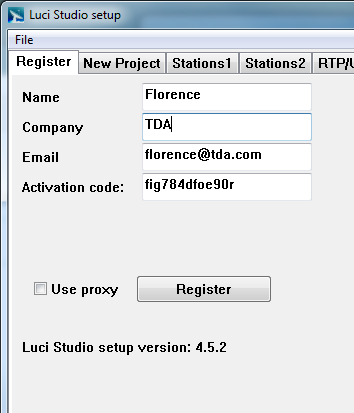 If you tick “Start Setup” you will enter the Setup program immediately which allows you to activate your PC to run the full version of LUCI Studio. Registration is the process of unlocking/activating your software for one particular PC.